Exceeded my expectations. Fantastic host and incredible property. I’d strongly recommend Armando’s place. The best we’ve stayed in Portugal. 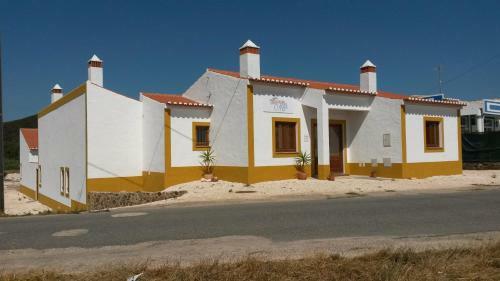 Nice, small place with a friendly host, conveniently situated near village and beach. Everything about our stay was perfect. From the location close to the beach to the very comfortable apartment with a great bed and shower and fully set kitchen to the loveliest host that really made the difference (every single recommendation was very good and added value to our trip). There is a nice pool outside which we did not use but would definitely do it in the summer. Parking next to the house was very convenient! Armando is very friendly and helpful! He welcomed us with open arms and helped us with every question we had. Great location - parking available, walking distance to the village (shops and restaurants), beach and hiking trails. Spacious and clean, the bed was comfortable and good air conditioning! The shower temperature and water pressure was good and consistent! Didn't get a chance to use the pool but it looked nice and clean. Armando was a good host as well, we tried his restaurant recommendation and loved it! Overall we were very happy and would visit again. The owner armando was very nice and helpful. The house itself exeeded expectations, large bed and perfect bathroom. Feels like your own little house! Amando is a great host who is very attentive, friendly and super helpful. He helped us with everything we needed. 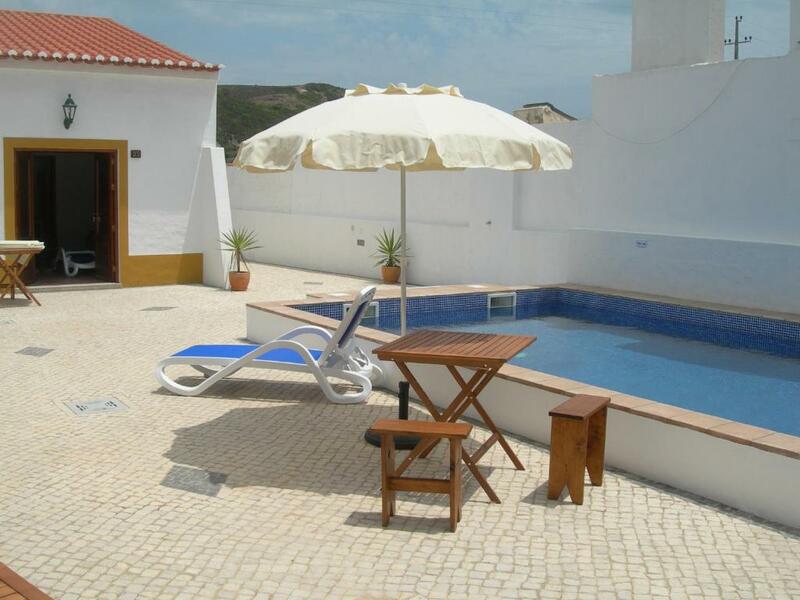 The appartments are nicely located in short walking distance to the centre and Bordeira beach. Excellent is all we can say: from the rooms to the location (sweetest village, stunning beaches) and - last but not least - of course the owner, Armando. We would return any day! Lock in a great price for Carrapateiramar Guest House - rated 9.3 by recent guests. One of our bestsellers in Carrapateira! 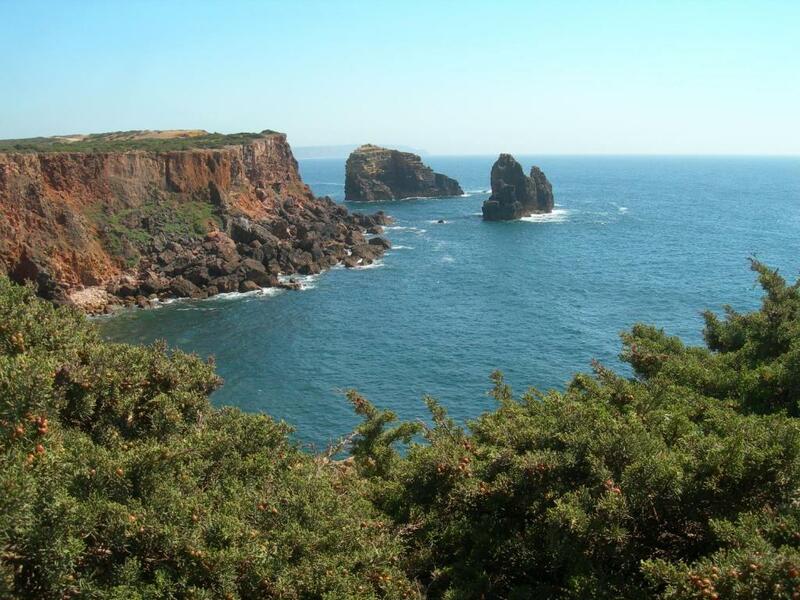 Situated 0.9 miles from Southwest Alentejo and Vicentine Coast Natural Park, Carrapateiramar Guest House provides an outdoor swimming pool, a terrace and free WiFi. All units comprise a seating area, a dining area, and a fully equipped kitchenette with various cooking facilities, including a microwave, a toaster and a fridge. A stovetop and kettle are also available. If you would like to discover the area, cycling and fishing are possible in the surroundings. Carrapateira Beach Surf Spot is 1.3 miles from the apartment. The nearest airport is Faro Airport, 67.7 miles from the property. 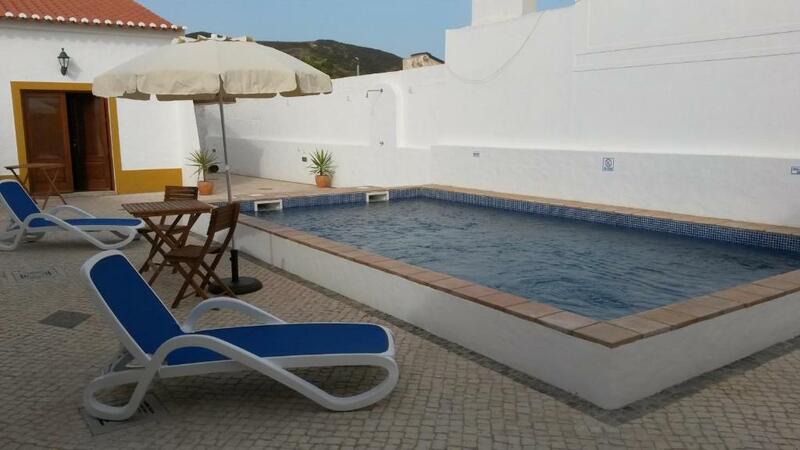 This property is also rated for the best value in Carrapateira! Guests are getting more for their money when compared to other properties in this city. Carrapateiramar Guest House has been welcoming Booking.com guests since 11 Jul 2016. When would you like to stay at Carrapateiramar Guest House? This studio has a microwave, dining area and sofa. This studio features a soundproofing, seating area and sofa. Alojamento local, com 6 casinhas com entradas privadas, 3 com quartos duplos e 3 com quartos com 2 camas individuais, em sistema de auto gestão, com apoio de cozinha, casa de banho privada e piscina num pátio privado. sem pequeno almoço. Com roupa de cama e de casa de banho, estacionamento próprio privado e wi-fi gratuito. Estamos situados em pleno Parque Natural da Costa Vicentina, a 1km da praia da Bordeira e a 3 kms da praia do Amado, conhecida pelas suas excelentes condições para Surf. Extensos areais e falésias extravagantes compõem a paisagem vizinha. Excelente zona para caminhadas, observação de aves ou contemplação da Natureza. Nas proximidades encontram-se zonas históricas com monumentos nacionais. House rules Carrapateiramar Guest House takes special requests - add in the next step! Please inform Carrapateiramar Guest House in advance of your expected arrival time. You can use the Special Requests box when booking, or contact the property directly with the contact details provided in your confirmation. Some construction next door but wasn't too bad. Spotless new units around a courtyard with a pool. 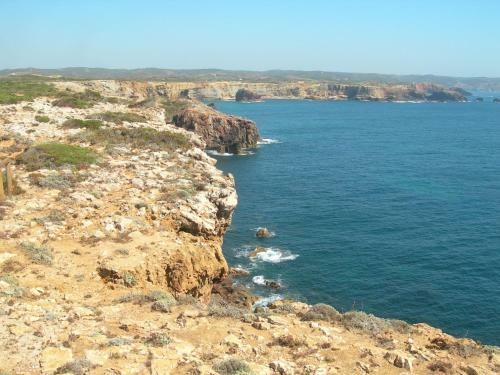 Easy to join Ruta Vicentina circuit. Room is spatious, but a bit dark - no windows except on front door (of course this might help to keep the room cool in summer). So nice we came back on our way North! Clean, close in town, swimming pool, and Armando is very helpful! You have no view so you are a bit encapsuled. I have been to places where price/quality , price versus what you get is more in balance. 10 Euros less would be more approriate as a rate per night. This is a very nice place where you feel at home. Friendly host and very authentic little studio with mezanine. The appartement is very authentic and meets completely to expectations. It is a nice hidden gem where you feel like your home immediately. Which is very important for a solo traveler. I couldn't find a hair dryer but it was late at night so I didn't bother asking Armando. Apart from that I seriously have no complains!